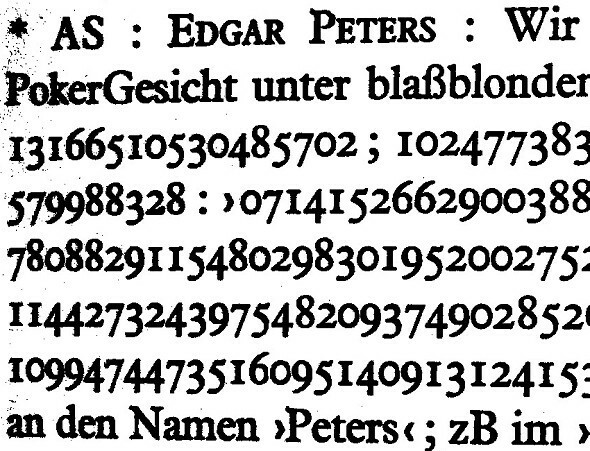 A text written by the legendary German author Arno Schmidt contains a series of numbers that might represent encrypted texts. 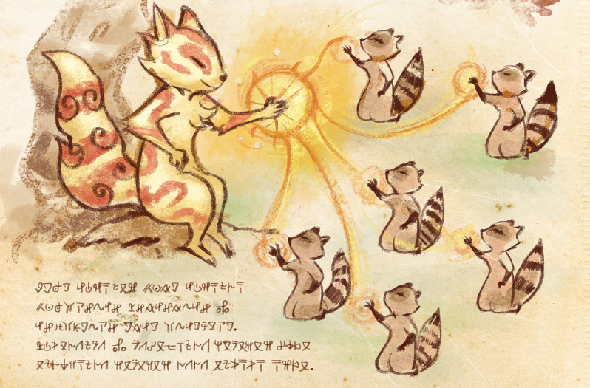 So far, nobody has found the solution of these cryptograms. The Book of Woo is a nice crypto puzzle created by comic artist Oliver Knörzer. 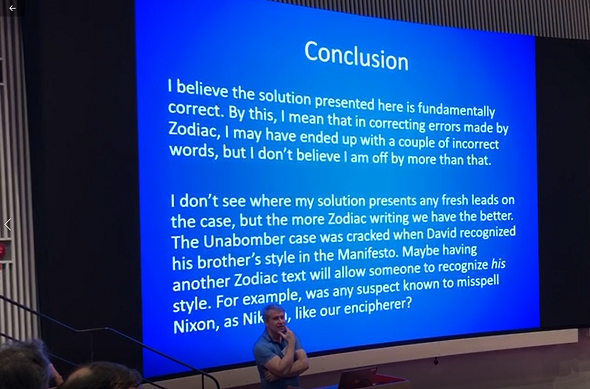 If you want to solve it you should hurry up, as Oliver will soon publish the cleartext. 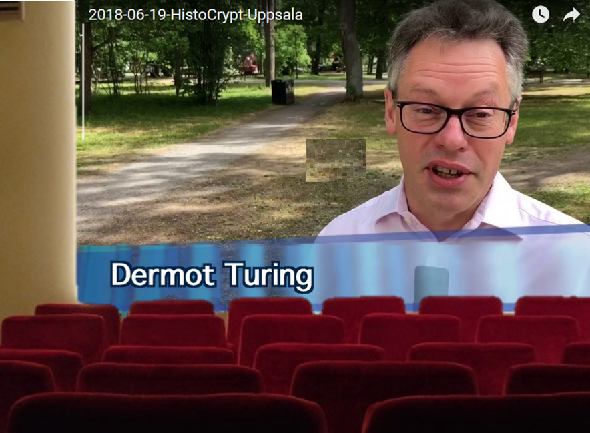 HistoCrypt 2018 in Sweden was a great event. 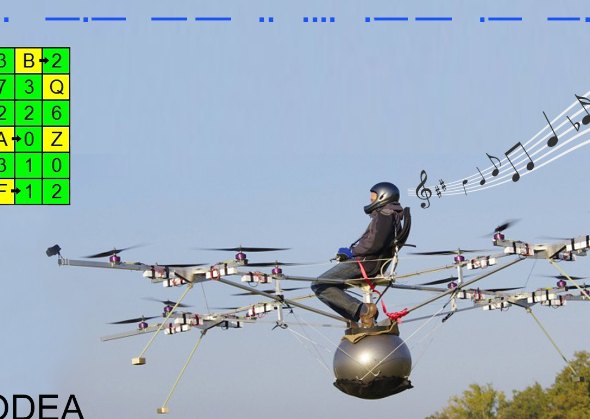 Here are a video made by me and a number of photos provided by Paolo Bonavoglia. Who can solve this beautiful encrypted postcard? 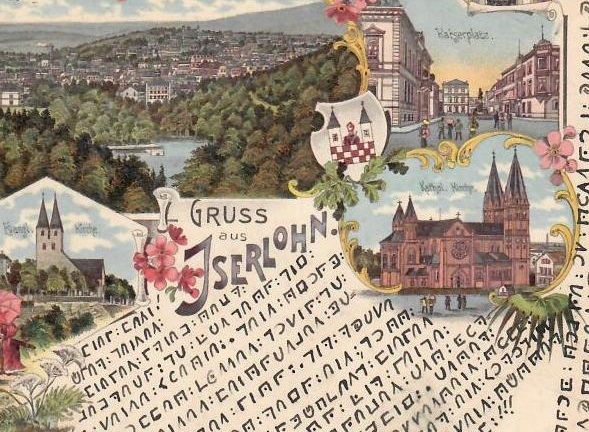 In 1901 an unknown person sent an encrypted postcard from Iserlohn, Germany, to nearby Arnsberg. Can a reader decipher it? 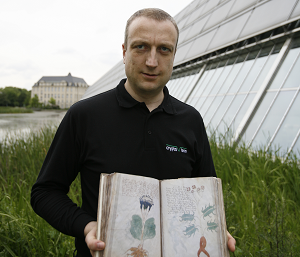 At the HistoCrypt in Uppsala, Craig Bauer gave a talk about famous cryptograms. 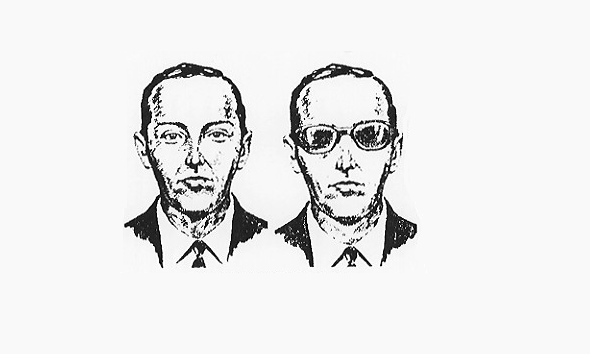 Among other things, he defended his solution of the second Zodiac Killer cryptogram, which was heavily criticized by the readers of this blog. Two encrypted newspaper advertisements from 1875 are still unsoved. Is the first one the key to the second? 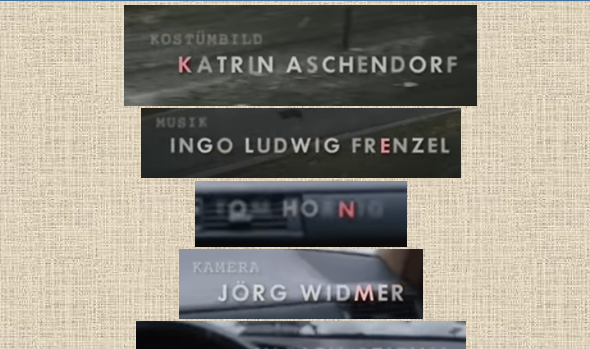 In the intro of the German TV film “Im Namens meines Sohnes” a message is hidden. It is easy to solve. Here’s a nice crypto challenge I found in a paper about the Fourth International Students’ Olympiad in Cryptography. Can you solve it? 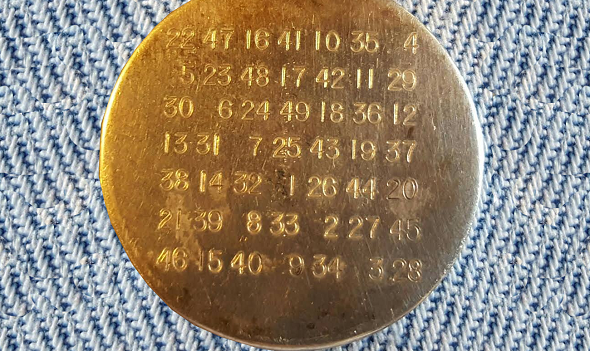 Who can decrypt this inscription on a dog tag? A dog tag introduced by a Reddit reader bears an inscription that looks like encrypted text. 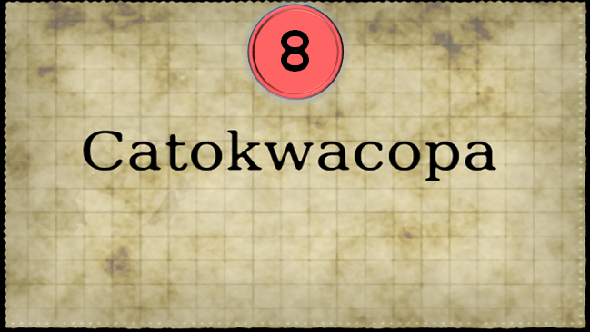 Can a reader solve this cryptogram?